Did I Meet My 2014 Wish List? Last July 2014, I posted my 2014 wishlist and had a giveaway for it. Unfortunately, since I converted my comments section into Disqus, all the comments posted by others were disabled. But it was fun to read that most of other bloggers, fashionistas, "Kikay" girls like me has the same wishlist. Check the previous wish list link here: 2014 WISH LIST. Now, the big question is, was I able to meet my 2014 wishlist? I am sad to share that I only achieved the Number 4 - Photo Studio and Lights. However, I am still very much grateful for it, Specially that it was given to me by my long time partner of 9 years as anniversary gift. He knows I am having difficulty creating beautiful photos with little light and no good background. 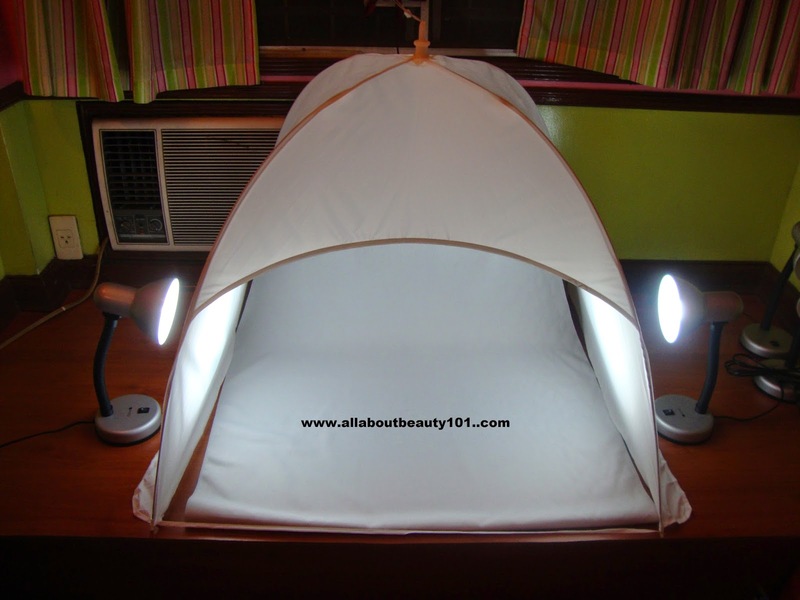 He surprised me by coming home with all these photo tent, 3 desk lamps (with additional LED bulbs) and tripod. I am so happy when I got it that I want to test it right away. It was now set up on my room (which I barely slept at) as it is now converted more for my studio, storage of items and vanity area. Its simple and I love it. For now, I am still finalizing my 2015 Wish List and when I posted it, I will again include a give away. I am still looking for what I can raffle. So stay posted gals!